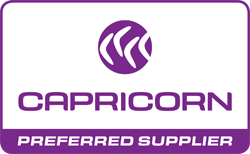 From what started in 1970 with a few Golden Fleece proprietors meeting in South Perth, Capricorn Society Limited is now one of the largest independent automotive parts buying groups in the Southern Hemisphere, providing services to mechanical workshops, service stations, auto electricians, smash repairers and other automotive repairers. Instant credit - up to 60 days credit on a 30 day account. Simplified accounting with all suppliers on one statement. Earn reward points on every dollar/rand spent. 24/7 free online technical data. Read about numerous solutions of how to get rid of flat warts on different parts of your body: face, neck, hands. Each area requires special attention and care, so you have a wide variety of solutions against warts to choose from, both conventional and unconventional.